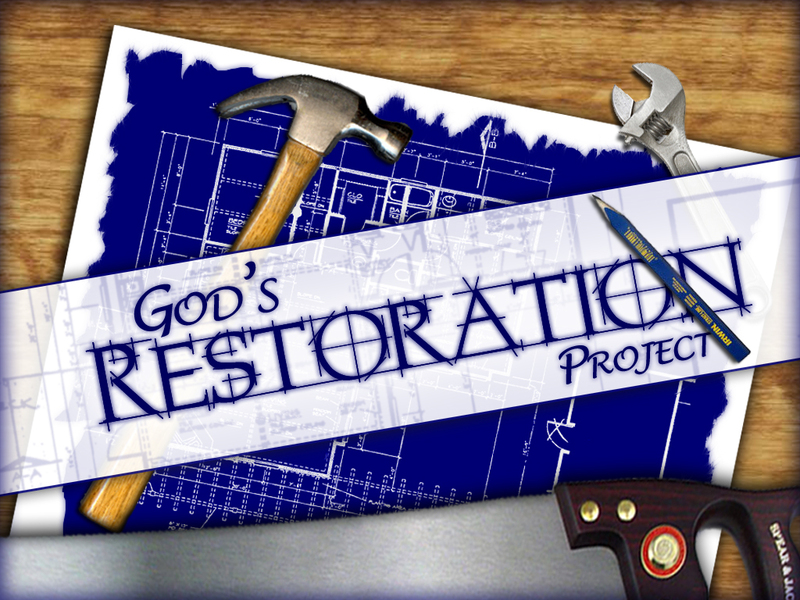 God is the “master restorer!” He can take what has been wasted by sin and bring beauty back again! You’ve seen the “before and after” pictures… An old dilapidated house – once beautiful, well furnished, and cared for – but now neglected, bearing the effects of weather and decline, ugly and in disrepair. But someone buys it, sees potential in it, a sign goes up indicating it is a “restoration project”, a contractor” has obtained it and a miracle begins to take shape before your very eyes. Months later… “Open House” is advertised and you visit… Your mouth drops open, there are “Oohs and Ahhs,” … It’s beautiful! The original grandeur of the place has been restored, perhaps even surpassed! So take heart! The “master restorer” can make what has been wasted by sin into something beautiful again! He can! He has the resources, the ability, the patience and the plan! Just hand him the deed to the property! !